Seven out of ten of Americans over age 65 will need some type of long-term care at some point, whether that’s in-home care, assisted living, or skilled nursing care. Right now more than a million and a half people in the US live in nursing homes, and that number is expected to rise as the Baby Boomer generation moves into its 70s and 80s. Nursing homes, which are sometimes called skilled nursing facilities or convalescent care homes, provide a higher level of care than assisted living communities and a more structured environment than in-home skilled nursing, making them the best choice for seniors with chronic, complex health issues and those for whom home care is unavailable or too socially isolating. About 1.4 million US adults reside in nursing homes. The nationwide median cost of nursing home care has increased by 4% per year over the past 5 years. The national median cost of private-room nursing home care in 2016 is $92,378 per year. Alaska is the state with the highest median cost of nursing home care, at $297,840 per year. Where do nursing homes fit on the continuum of care? Nursing homes provide more intensive, medically focused care than assisted living facilities and may or may not offer the highly specialized care and environment that dementia patients need for comfort and safety. Residents in nursing homes, like those in assisted living, may get help from staffers with activities of daily living in addition to therapy for illness, injury, or stroke recovery. Not all nursing home residents are there for the long term. Sometimes adults need a few weeks of skilled nursing care to recover after surgery or sickness, and a nursing home may be the best place to provide round the clock care before going home. Your doctor will talk to you and your family about short-term skilled nursing care if it’s needed. What services are included in nursing home care? Nursing homes are set up to provide balanced daily meals and snacks and can accommodate special diets as recommended by your doctor. Staffers can help with bathing, toileting, dressing, and mobility as needed, and they also check vital signs, monitor patients’ moods, and make sure residents take their prescribed medicines. On-site or visiting therapists take residents through their prescribed therapy regimens for speech, swallowing, balance, and other issues. The home’s supervising registered nurse and the staff can coordinate with family members and doctors for care updates and progress reports. Besides personal and nursing care, nursing homes usually offer a range of social, spiritual, and physical activities for residents who want to take part. A typical nursing home activity calendar may include movie nights, board game time, sing-alongs, easy yoga or tai chi, visits from pet therapy volunteers or school groups, and worship services. Most nursing homes also have a chaplain who can visit patients in their rooms and consult with families about accommodating their loved one’s religious practices. There’s no getting around the fact that nursing home care is expensive, and with a national average cost of more than $92,000 per year ($7,700 per month), it’s worth looking closely at the price tag and carefully considering what you’ll get for your money. You can reduce the overall cost in many places by choosing a semi-private room rather than a private one. That will reduce the yearly cost by an average of $10,000. Another option to consider is relocating to an area closer to relative who live where nursing home care costs less. For example, if you live in Maine, where the yearly cost for a semi-private room is close to $100,000, and you have adult children or other family members in Kansas, you could save about $40,000 per year on care. If you’re only spending a few days or weeks in the nursing home for doctor-prescribed rehabilitation after surgery or illness, Medicare may cover some of your costs. Medicare does not cover any of the costs associated with long-term nursing home living, and if your assets or income are too large to qualify for Medicaid, you’ll be paying out of pocket for nursing home care. 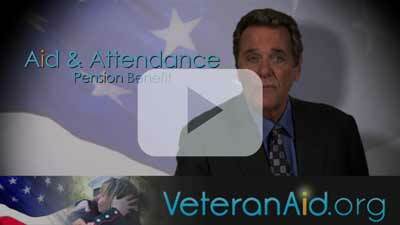 The VA Aid & Attendance Pension benefit can help eligible veterans and their spouses pay for nursing home care. A&A pays out as much as $1,794 per month to each qualifying veteran, $1,153 per month to surviving spouses, or $2,127 per month per couple. A veteran filing with a sick spouse may also apply and may receive as much as $1,410 per month. You must remain in bed unless you’re getting therapies and treatments prescribed by your physician. Applying for the A&A benefit takes time. You’ll need a letter from your physician describing your daily activity level and care needs along with copies of your DD-214 or separation papers, medical records, financial statements, and proof of your out-of-pocket healthcare expenses. Expect to wait several months for a decision from the VA. If you are approved to receive A&A benefits, they will be paid retroactively back to the initial date of your A&A application. For more details on how to apply for A&A, visit our How to Apply page.